What Data Does Athos Track? Which Muscles Do You Track? Athos technology utilizes surface EMG sensors, which are seamlessly embedded in the gear. The sensors are collecting electrical signals from the surface of the skin that your muscles generate when they’re exerting force. This is all based on electromyography, or EMG, that has been used in the medical and exercise physiology community for more than 50 years. Training load- Athos measures what’s happening on the muscular level. Rather than relying on “external” measurements of workload (like sets x reps x weight, or accelerometer workload), Athos provides an internal measure of player training load. Know how much stress the athletes’ body actually endured. Muscle contribution- Are you engaging the correct muscles? Are your muscles firing in the correct sequence for each exercise? 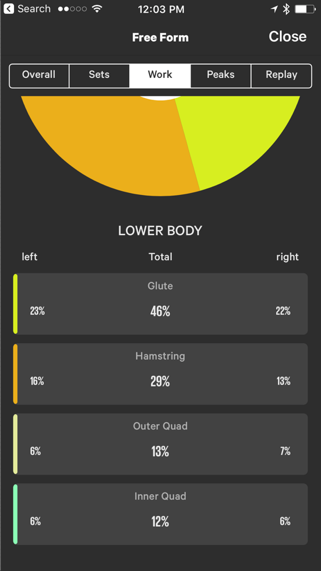 Muscle balance- Are you balanced evenly from left to right? A common error in many exercises is poor balance. 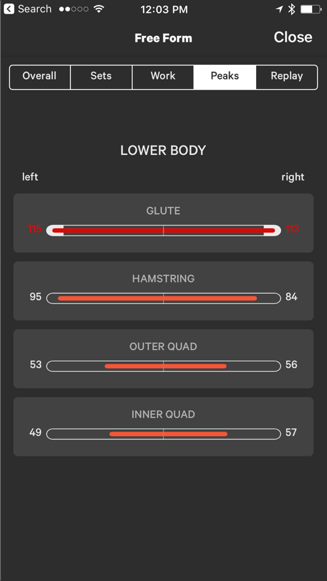 The live view allows you to look inside the body and instantly see the quality of every movement, in real-time, to determine if muscle groups are firing as intended. Effort- Each exercise is given a targeted range for muscle effort. Did you stay within the given range? If not, you might need to increase or decrease intensity. Balance - How well are you balanced between right and left sides? Movers - Did you hit the targeted primary and secondary muscle? *Muscle Contribution: the amount of work contributed by each muscle group for a given activity. *Muscle Balance: distribution of muscle load from left to right. The highest level of exertion by each individual muscle group during a session. Athos garments do not measure abs. We'd love to add abs down the road, and it's a very popular feature request, but this will require significant research and development, so any new development on this front is going to take time. At this time we do not have a timeline for when this will be available.